After we got to Fukushima station from Tamagoyu, we went to a department store in front of the station. The bus dropped us off in front of the west entrance of Fukushima station. The west entrance have shinkansen gate. But the busy area for local people is on the east entrance side. The west entrance have many buses to ryokan and hotel for tourists. There’s only one way to go to the east entrance from the west entrance. We went to the east side of the station via underpass. The department store’s name is “Nakago”. This was the first time to hear the name. Perhaps its branches are only around Tohoku area. 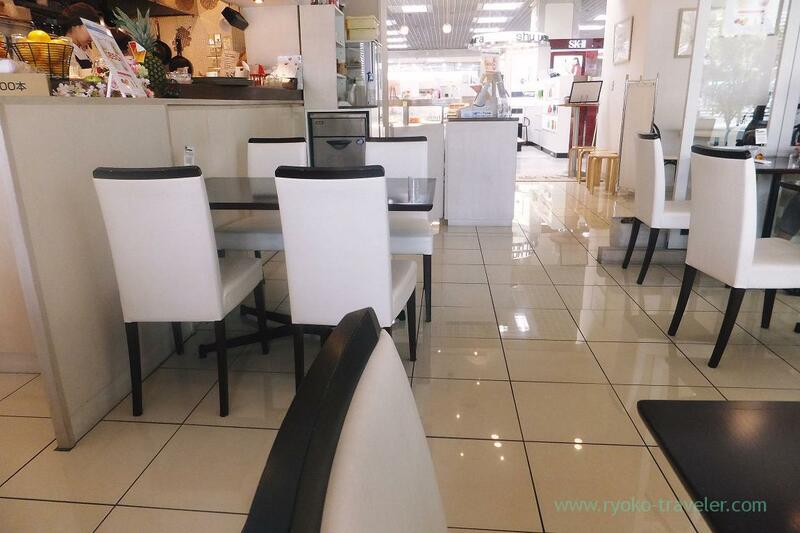 I had wanted to go to the Fruits cafe named Le Verger on the 1st floor. Fortunately, my appetite came back. 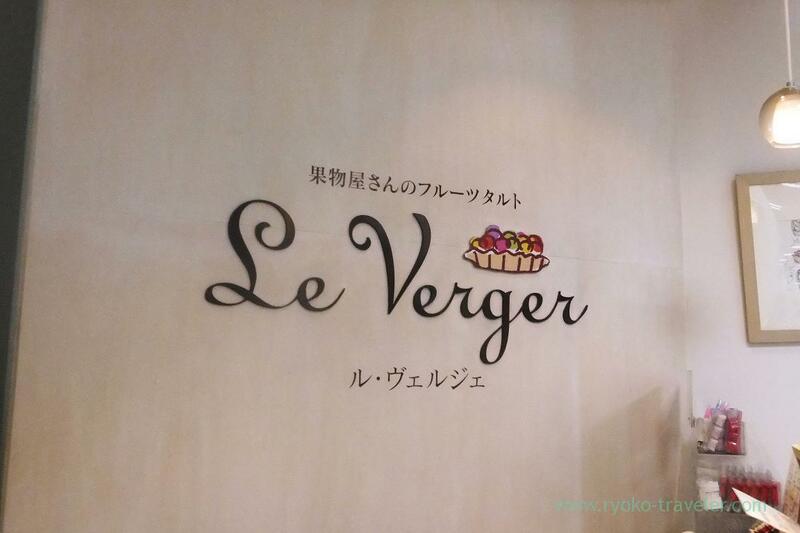 This Le Verge is owned by Fruits Shop AOKI that is so popular and large company and started their business in 1924, and they have some branches of Le Verge in Tokyo and Chiba. But this head shop have especially high reputation. Well, it is Fukushima that is fruits kingdom ! Of course, this head shop and another branches sell same foods. But Nihonbashi Takashimaya branch is store (no cafe) and Makuhari branch is in busy Aeon building. So, I think this slow and easy atmosphere is one of the reason why they are loved most in all branches. 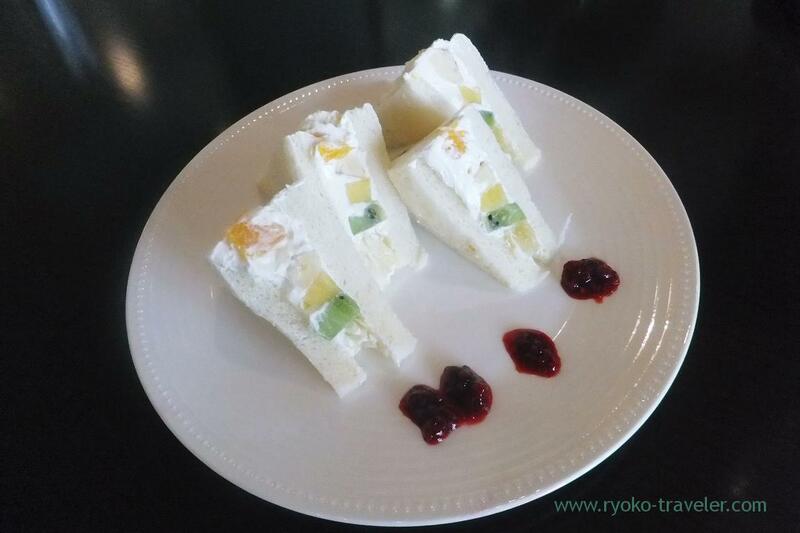 Fruits sandwich (フルーツサンド, 830 yen). Kiwi fruits, papaya, mikan and mango. I ordered the sandwich as set with drink (+360 yen). 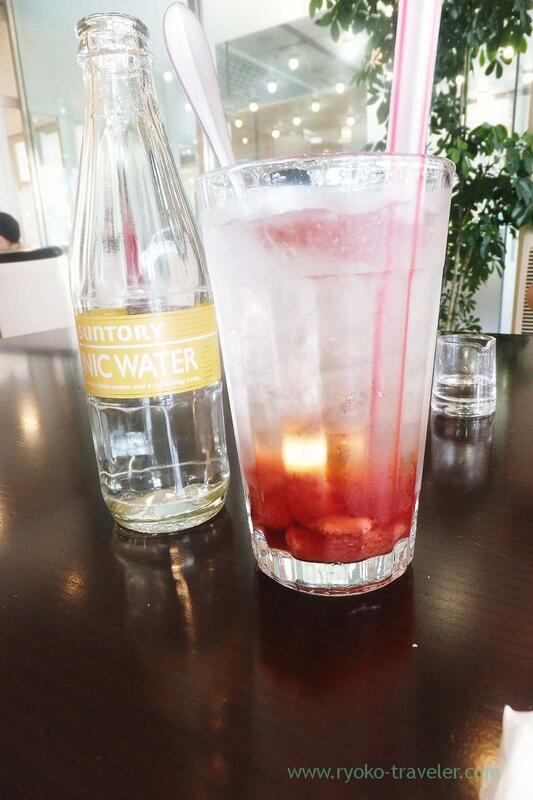 Fruits soda (Strawberry, フルーツソーダ・いちご). strawberries in syrup sank bottom of the glass. My mother decided to eat it when she saw it in showcase at the entrance of the shop. 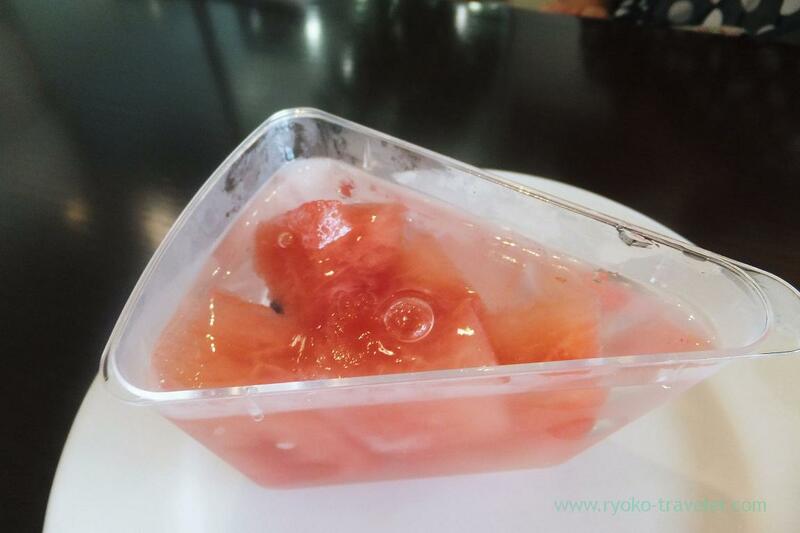 I knew recently, my mother love watermelon. I didn’t know for a long time because I rarely saw that she’s eating watermelon ! And she seldom buy it ! Those were delicious. But they took much time to serve. It’s like Fruits cafe Frutas. Maybe they treat fruits so carefully. So, if you have no time, I never recommend this shop. We decided to go there again. But of course, when we have much time.